31 anglers braved arctic conditions on the Specimen Lake. Strong winds and highs of just 5-6C made for a difficult match with fish dropping straight into winter mode. Winner on the day was Max G (PR Floats) who drew peg 8 on the burr bank. Max caught on method and later on pole at 14m with pellet to weigh 166-12-00 for a comfortable win. 2nd on the day was Rob Wiltshire (Cwmbran Nobblers) who drew peg 10 landing 100-05-00. Rob caught on both Method and bomb to finish the day with 100lbs+ and a place in the May Final. 4th placed Ray Lamb (Larford) drew peg 70 catching carp on both long and short pole weighing 64-15-00. 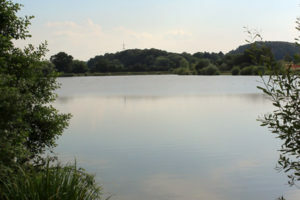 5th on the day was Perry Mountain (HT Angling) who drew peg 68 weighing in 50-01-00 of carp & bream. 6th placed Mick Bull ( Frenzee) drew peg 64 weighing 45-13-00 of bream to the open end feeder. Ray Wiltshire qualifies for the May 2017 final.